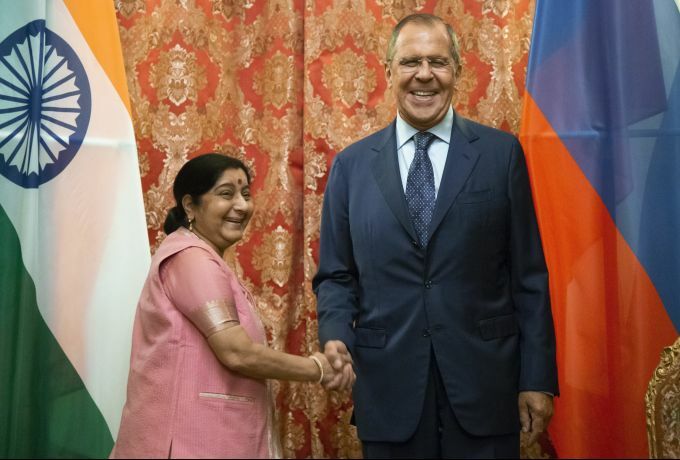 Moscow: Russian Foreign Minister Sergey Lavrov, right, and Indian Foreign Minister Sushma Swaraj pose for a photo prior to their talks in Moscow, Russia, Thursday, Sept. 13, 2018. 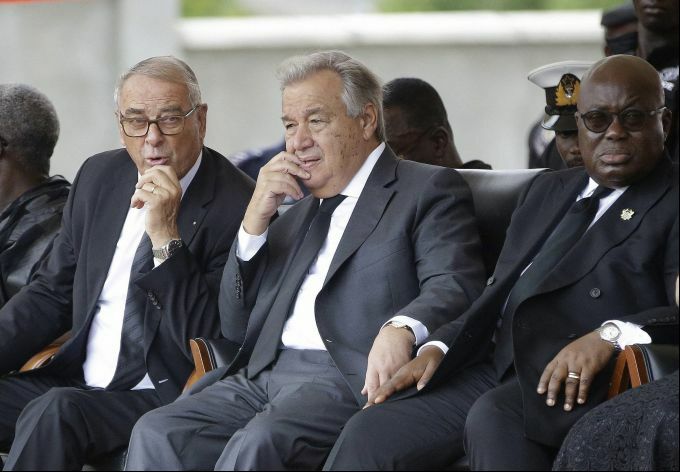 Accra: Adolf Ogi, Former President of the Swiss Confederation, left, current U.N. Secretary-General Antonio Guterres, center, and Ghana's President Nana Addo Dankwa Akufo-Addo, right, during the funeral of former U.N. Secretary-General Kofi Annan, at a cemetery in Accra, Ghana Thursday, Sept. 13, 2018. Former United Nations Secretary-General Kofi Annan was buried Thursday after a three-day funeral and ceremony. 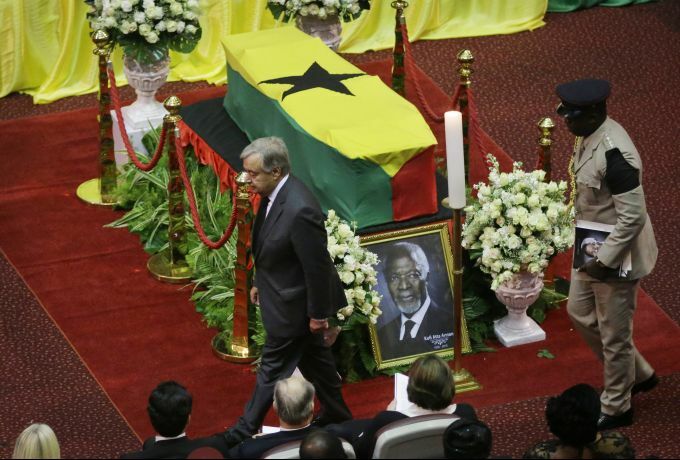 Accra : Current U.N. Secretary-General Antonio Guterres, left, pays his respects by the coffin of former U.N. Secretary-General Kofi Annan, draped with the Ghana flag, during a state funeral at the Accra International Conference Center in Ghana Thursday, Sept. 13, 2018. After days of lying in state for mourners to pay their respects the body of Kofi Annan, who died in August in Switzerland at age 80, will be buried Thursday after a final funeral ceremony. 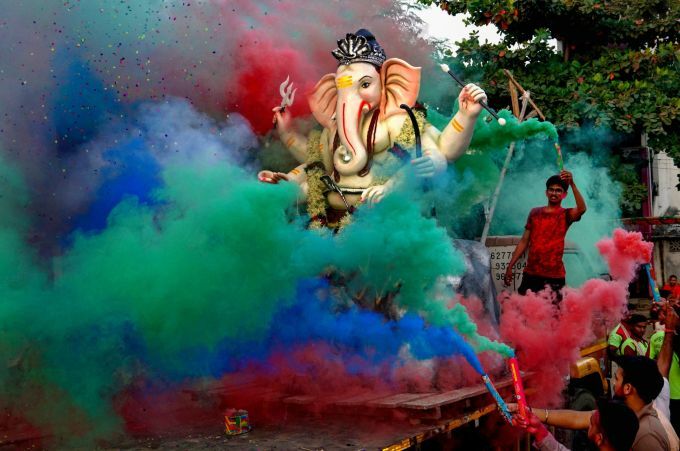 Nagpur: Devotees carry an idol of Lord Ganesha to be installed in a pandal on the first day of Ganesh Chaturthi festival, in Nagpur, Thursday, Sept 13, 2018. 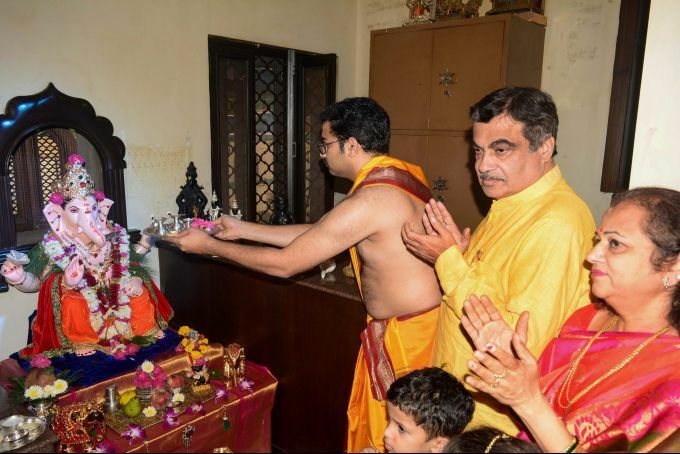 Nagpur: Union Transport Minister Nitin Gadkari offers prayers on the first day of Ganesh Chaturthi festival at his residence, in Nagpur, Thursday, Sept 13, 2018. 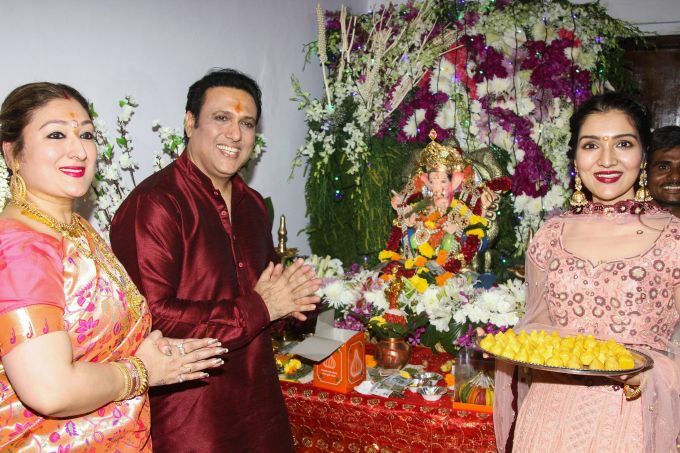 Mumbai: Bollywood actor Govinda (second L) with wife Sunita (L) and daughter Narmada offer prayers on the occasion of Ganesh Chaturthi festival, in Mumbai, Thursday, Sept 13, 2018.